While Patagonia has been the most anticipated destination of our journey, Torres del Paine is undoubtedly the representative image of Patagonia that we have dreamed about for years. There are numerous ways for one to appreciate the park’s magnificent sceneries. We are going to take one of the most popular ways among hikers, doing the 5-day W-trek that takes in most of the Park’s highlights and staying at the park refugios along the way. We decide to do the W-trek from west to east, starting from Glacier Grey, visiting the French Valley in the middle, and ending the trek with the sunrise at the iconic Torres del Paine rock towers. Before we embark on the W-trek, we will spend an extra day at a campsite that offers some great views of the famous mountains. 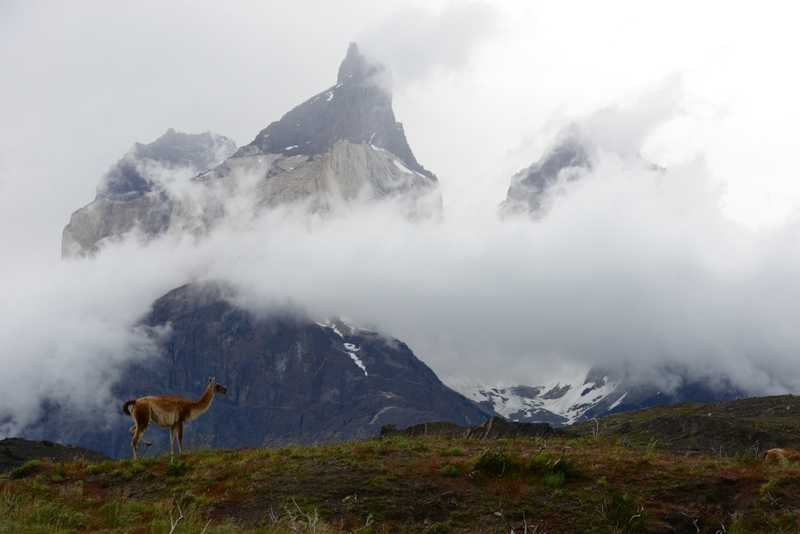 Granite towers, turquoise water, wild orchids, guanacos, foxes, pumas, condors, etc. pair with hostile Patagonian storms and unforgiving winds, we are ready for the wonder and cruelty of Torres del Paine. This entry was posted on December 15, 2013 by Blue Lapis Road. It was filed under Chile, Day 61 to 70, Patagonia, Torres del Paine and was tagged with Chile, destination, guanaco, journal, mountains, park, Patagonia, photo, Puerto Natales, south america, things-to-do, Torres del Paine, Travel.